From the top of the pediment of the Opera revisited by Jean Nouvel, eight muses are watching you ... but where's the ninth? 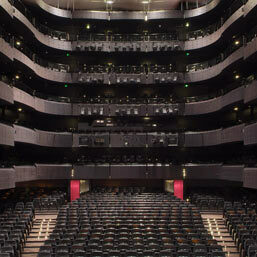 The visit of the Lyon Opera is a spectacle in itself. Today’s opera house stands on the site of an 18th century theatre, imagined by Soufflot and rebuilt in the 19th century by Chenavard and Pollet. 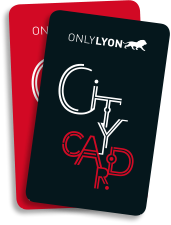 A century later, the Lyon National Opera, renovated by Jean Nouvel, was inaugurated in 1993. 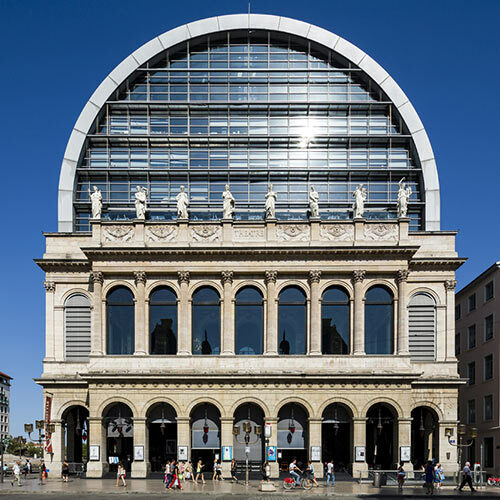 This is your opportunity to discover the extent of the project of the French architect who renovated the 18th century Opera house, preserving its neo-classical façade by surmounting it with an imposing glass dome. This tour is for entertainment enthusiasts, curious to see what's behind the curtain ... But not only ... 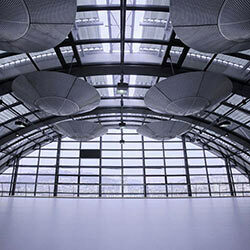 It will also attract fans of contemporary theater architecture too. Indeed, this unique discovery backstage at the Opera de Lyon also offers the opportunity to reveal some of the work of Jean Nouvel. The opera house reveals its 18 partly buried levels: public spaces, scenic or rehearsal studio. An architectural feat in service of Art! Caution: The Opera house has many stairs (including 8 levels without lift). 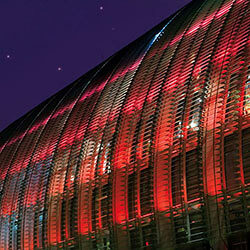 The lighting of the dome of the Opera house in Lyon, which was renovated in 1993, is also a work of art! This red light varies in intensity depending on the number of people attending evening representations.